This is a letter I was forced to write to the City Manager of the City of Bellevue as the dBoone Construction Company did not take precautions on their construction site, and continued to be in violation of safety precautions. The City of Bellevue will shut down this construction site if this continues. Included are the City of Bellevue staff that has inspected the new construction at 9847 NE 1st St in Bellevue 98004, with the dates of the inspections. I have lived next door since 1966 when my parents bought the house at that time. This past storm on Saturday January 27, 2018 brought sheetrock, wood sticks, and blue tarp material onto my property from the Brown construction site. The sheetrock from the roof of the Brown construction site blew into my bedroom window where I was sleeping. 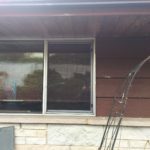 I was awakened by a loud bang on my window with a dark shadow covering my window. Needless to say, I was frightened, disoriented, and confused. 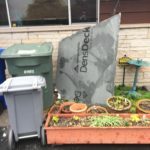 This is not the first time I have had construction debris on my house and in my yard from the Dean Brown construction site located at 9847 NE 1st Street, Bellevue, WA 98004 . 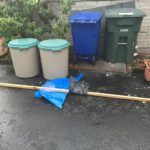 The first time I had wood sticks from the blue tarp on the roof blown into my front yard. The second time, a piece of sheetrock blew from their roof onto my office roof with a big thud while was working in my home office. This is the THIRD TIME, I repeat, the THIRD TIME that this has happened, debris from the Brown construction site finding its way to my house and yard. 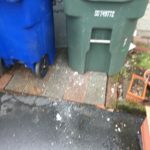 Each time, I reported the damage to the property owner, Dean Brown, and the construction company owner, Dave Boone, who said that they were sorry, and cleaned up the damage. Which is very nice, but it is now the THIRD TIME and I do not feel safe in my house any longer as this lack of oversight continues unabated. WHAT WILL YOU DO ABOUT THIS SAFETY HAZARD? I no longer feel safe in my house, and that is not right. In the spirit of good neighborship, I have worked with the Browns and the dBoone construction owner but this time is too much. WHAT WILL YOU DO ABOUT THIS SAFETY HAZARD? I would suggest an inspection, a fine, and perhaps a work order shutdown for the construction site until it is inspected and deemed a safe construction site. As it is now, it is not a safe construction site, and I believe is in violation of safe construction procedures. I would expect better from the City of Bellevue. I include pictures of the damage and debris that blew into my bedroom window on Saturday January 27, 2018. Indeed, this did not have to happen if there were proper safety procedures on the Dean Brown construction site. 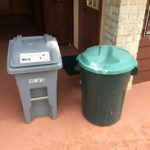 I do not think that they are taking their responsibilities to their neighbors, the neighborhood, and the community seriously. What if this flying debris had hit a child, a traveling car, someone walking on the Lake Washington Blvd NE elevated sidewalk and so on? What about the dollar cost to my property if this continues? After living here for 51 years, this is the first time I have felt unsafe in my house. We appreciate the City of Bellevue working hard to keep the peace, stop crime, keep the city clean, and so on. This is unprecedented. I can’t live this way, and do not deserve this mess and fright. Susan and Dean Brown, Parcel number 4389200465 , Ne 1st street located to East, Lake Washington Blvd NE located to the West.